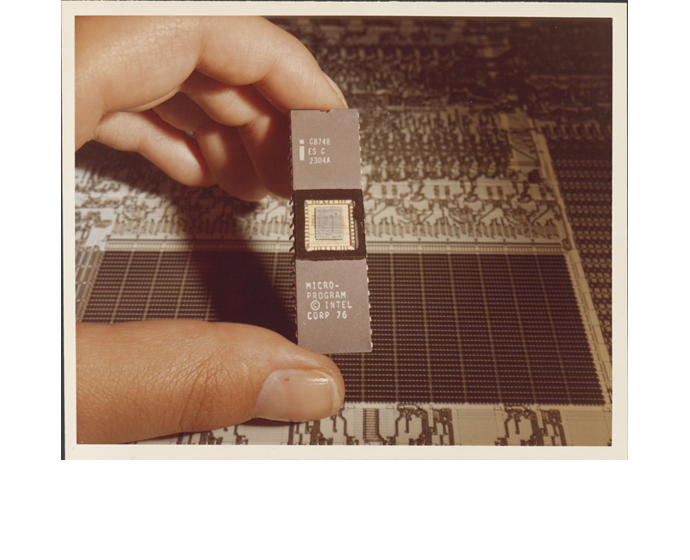 By 1974, the combined potential of the microprocessor and erasable programmable read-only memory – both introduced in 1971 – was beginning to reveal itself, but the two products had to be purchased and installed separately. That made them useful for customizable applications, but too expensive and cumbersome for use in the countless devices that populate modern life. Microcontrollers were single-package embedded systems designed to perform the same real-time control functions over and over — they could be produced and implemented on a large scale. In other words, microcontrollers could balance cost and usability to create a world underpinned by embedded semiconductor systems. 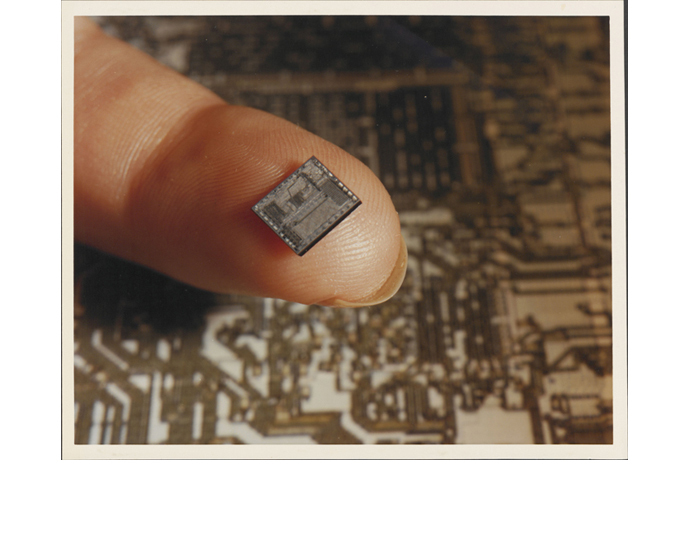 Understanding this potential, Intel in 1974 committed to developing its first micro-control system, the MCS-48 series. They faced a difficult task. Since microcontrollers combined processors and memories in a single package, they presented all of the challenges of developing each along with the challenges of integrating them within a sealed unit. Compounding those technical challenges were the conceptual ones that came with creating a viable commodity of technologies that had been revolutionary only a few years ago — engineers were constantly figuring out where the proper balance between performance and cost lay to appeal to the broadest possible customer base. Moreover, the design tools of the time were limited. Designer Dwayne Hook had to lay out every component of the multilayered processor design by hand. There were few ways to test a design without a physical prototype — which usually had an 8- to 15-week wait from request to delivery. And the only way for engineers to test a discrete element of the device was to isolate metal lines from the chip and hook them up to a 10- to 15-square-foot “breadboard” emulator. 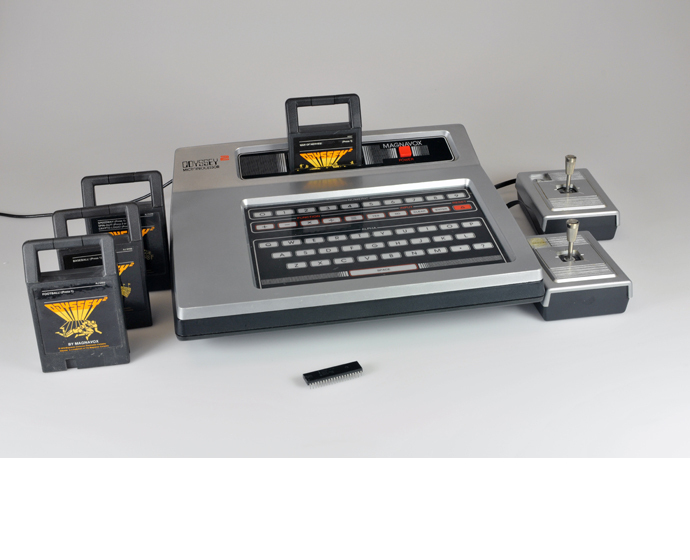 Despite these challenges, the first MCS-48 device made it to prototype by the second quarter of 1976. The development team demonstrated it for Andy Grove, Gordon Moore and Les Vadasz by having it execute a blackjack program (Stamm was an enthusiastic player). To avoid overloading the small device, the battery for the prototype was a piece of citrus with electrodes inserted into it and wired to the chip. Customers had their first look at an MCS-48 device, the 8748, later the same year. The series proved a great success. One product, the 8048, quickly became an industry standard, and the MCS-48 family would proliferate in countless devices in the ensuing years, turning up in everything from gas pumps to jet airliners. It was a turning point for microchip technology as a part of the fabric of modern life. 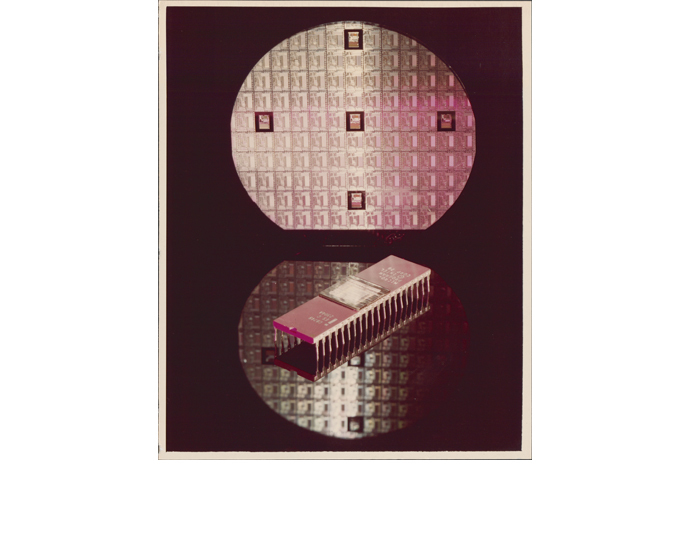 In 1984, Less than 10 years after the MCS-48’s introduction, the 8748 was one of only seven Intel items selected for display at a Smithsonian Institution exhibit on semiconductor technology at the National Museum of American History.